Astrological charts free you of the need to learn astrology. You can find many free offers online from reputable sites. Although the choices are varied, the majority of the sites give you a limited glimpse of your full chart. This gives you an idea of what the full report will provide and the style in which it's written. Some free charts even give you the latitude and longitude of the place of your birth so you will have it for your records. 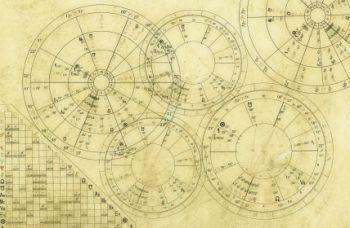 An astrological birth chart is the basis for all of the horoscope reports an astrologer offers. It's a very concise mapping of where the stars were at the moment of your birth. Of course, it's necessary you give the astrologer your birth date and the location of your birth, and this usually includes the city, state (province), county and country. You might think this is all the astrologer needs, but in order to receive information about your rising sign, you also need to provide an accurate time of birth. You may wonder why a rising sign is so important. The rising sign represents your outer personality and how you move through life. If you've read generic monthly sign predictions and felt the astrologer was wrong because nothing matched, that's porbably why. A complete chart is needed to accurately predict specifics about your life. Your rising sign plays a significant influence in your life. That's why it's important to provide your time of birth (usually found on birth certificates) to an astrologer. This is easy to do since you only need to know your birth date. You can find your sun sign by viewing the listing or chart. The information provided will be generic and specific to your sun sign. You'll come away with a deeper understanding of cosmic influences. You may even discover a latent talent now that you know what to look for within yourself. Many sites offer free compatibility charts to help you understand your love relationship better. You will need to provide your lover's information as well as yours. Most compatibility reports are partial, and you can purchase the full report once you've had time to read over it and decide if this is what you want. You may be surprised to discover something about yourself or your lover that hasn't been apparent. Oftentimes, a compatibility report can help clear up misunderstandings or misconceptions you have about yourself and your mate. 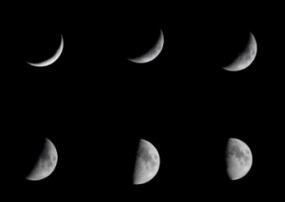 The moon has eight phases during a complete lunar cycle. Astrology dogma says each of these phases imbues certain personality traits to those born during a specific lunar phase. You might find it very helpful to learn about your particular lunar phase, and use it to the fullest advantage. The free charts you'll find for your career interests are for your appropriate sun sign. Be sure to also read your rising sign details for a broader understanding. These can be helpful to point out areas of possible careers that you may not have considered. You can get a general feel for your financial prospects with a sun sign chart reading, but to narrow down specifics, you'll want to invest in a detailed chart report. In addition to many of the free charts available to you, most sites also giveaway free daily, monthly, weekly, and annual forecasts. Astrology sites often offer free daily horoscopes on their site as well as email reports. With this kind of report, it's always best to read both your sun sign and your rising sun to get a balanced view of what the day holds in store for you. It's good to know what your week holds in store for you as you start out on Mondays. If you know what possible challenges, obstacles and events to expect, you can pre-plan a strategy for handling what otherwise might take you completely off-guard. Monthly forecasts are typically published for the current month. Some sites also offer the past month's and the next month's forecasts. This is an excellent free service and allows you to prepare for the upcoming month as well as the current one. You can also go back and review what happened the previous month. With this and other kinds of periodic generic forecasts, be sure to include your rising sign when you read to give you a better overview. These are just some of the popular charts and reports. 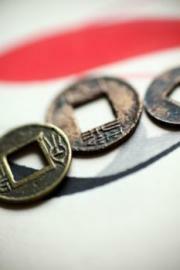 You may wish to explore Chinese astrology for additional websites offering: astrological charts free.